The Willamette Valley may be known as Oregon Wine Country, but drink options here seem to be limitless. From Pinot to cider, IPAs to bubbly, and stouts to lattes, there’s a drink for everyone. 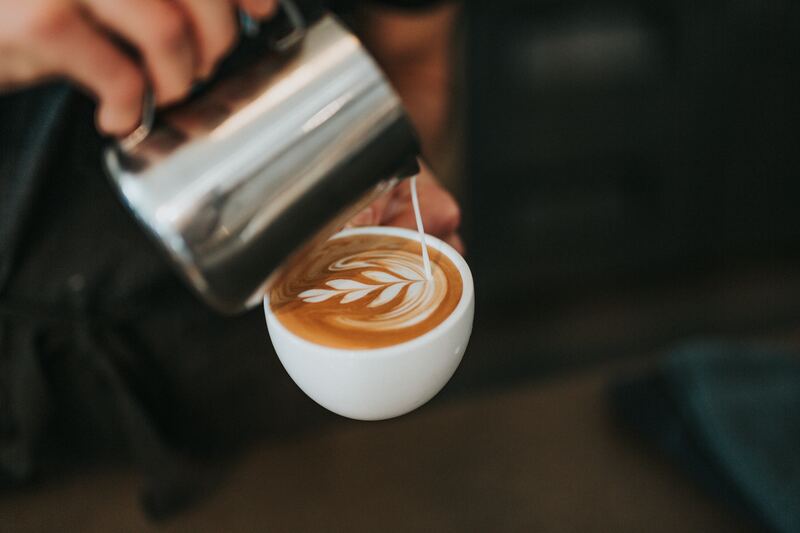 With all these options to choose from, it's difficult to pick where to visit and what to drink, so we've compiled a collection of various cafés, bakeries, and roasters where you’ll find a full Willamette Valley coffee experience. Follow this trail down scenic roads and highways from north to south to get a caffeinated taste of the valley. Make sure to also grab a bag of your favorite beans, so you can savor the Willamette Valley flavor from home. Start your coffee trail in one of the Willamette Valley’s northern towns, Canby, at Baker’s Prairie Bakery. This unique little shop offers fresh bagels among other delicious treats and often team up with Willamette Valley’s TMK Creamery to bring customers delicious cheesy snacks. Baker’s Prairie Bakery, a local roaster out of Molalla, OR, sells Garage Coffee by the cup and bag. Wind through wine and farm country to the next stop in Yamhill county, Caravan Coffee. More than 20 years ago, Caravan Coffee was a cafe in a garage down the street from George Fox University. Proprietor Pete Miller sources Fair Trade Coffee that ensures ethical trade practices with farmers and Organic coffee that offers customers a cup of coffee free of chemically treated beans. 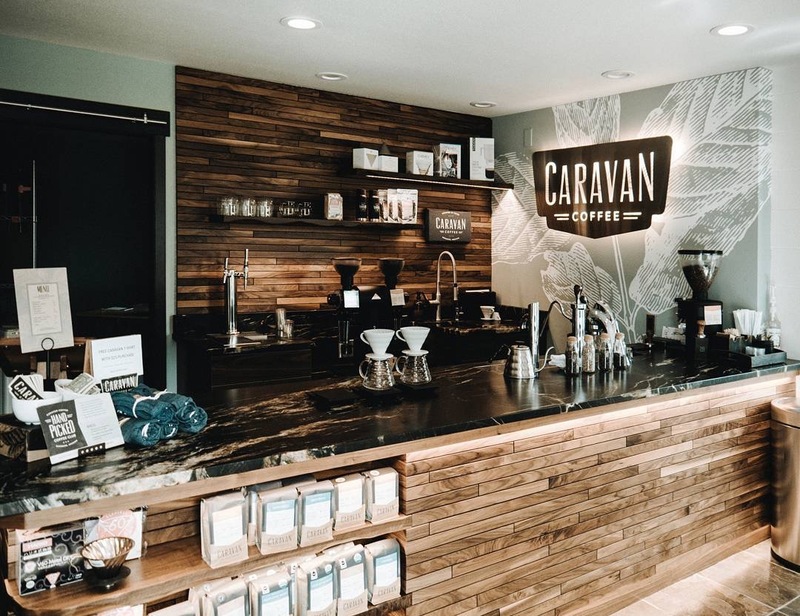 If you happen to be in the area on a Friday, every week at 9:30 a.m. Caravan Coffee offers a ‘cupping,’ which is a tasting of two coffees side by side. You will explore the fragrance, aroma, acidity, body and tasting profiles of each cup. 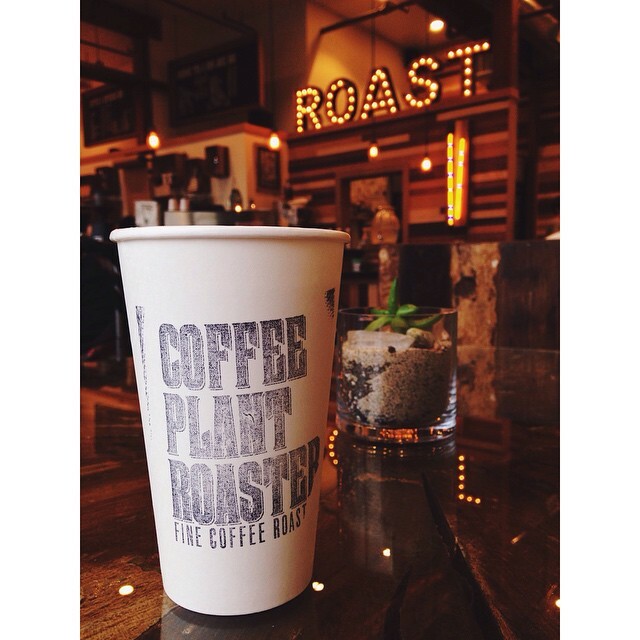 It’s a great time to ask questions and learn more about the coffees they are serving. A tour of the roastery is also available upon request. counter. When you visit make sure and try their dirty chai latte, some customers claim it’s the best they’ve ever had. Pressed Coffee Roasters makes their own pastries, sells local organic honey, and hosts trivia on Thursday nights, which is so popular you need to call ahead to snag a table. has live music from a variety of genres. Historic Albany’s new downtown coffee shop, Margin Coffee, is a “place to come, not to escape life, but to allow some time in our day to simply be.” Their welcoming staff and location in downtown Albany makes Margin a place you don’t want to miss. The coffee shop mainly sells Bespoken Coffee Roasters coffee, a local Willamette Valley roastery, but others from the area are sold there as well. Coffee Culture, the first ever drive-thru in the town of Corvallis, opened in 1993 and has been roasting their own beans since 2012. The coffee beans are named after a family name, Holderness, which stands for a long history of hard work, strength, and a commitment to excellence. Coffee Culture now has four locations, all within Corvallis. They offer customers a trendy vibe with fresh in-house baked pastries, beer and wine by the glass in the later hours, and of course, a great cup of coffee. the biscuits and gravy (and yes, the half-order is plenty for one person).